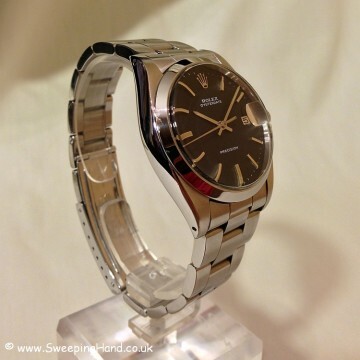 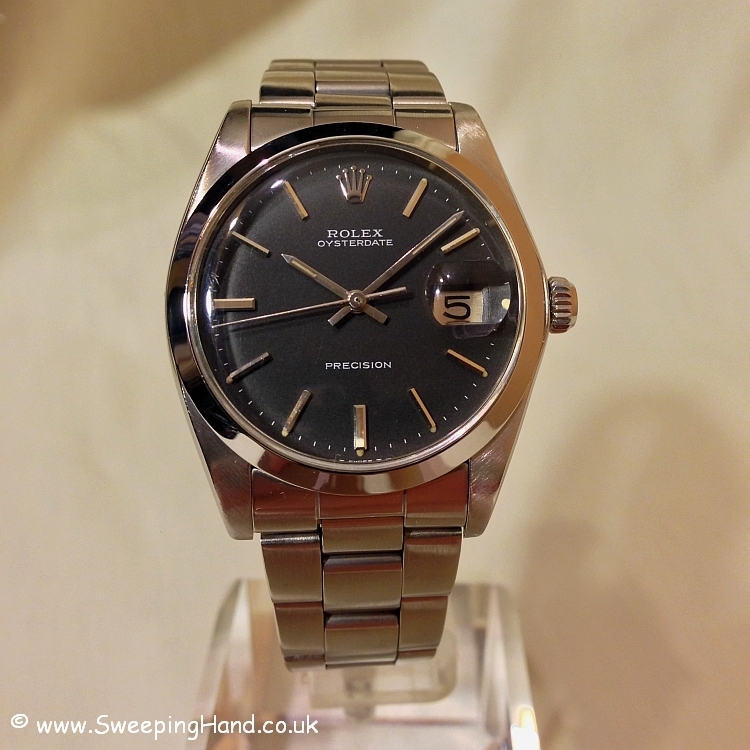 Here we have a lovely 35mm Rolex Oysterdate Precision with charcoal grey dial and hand wind movement. 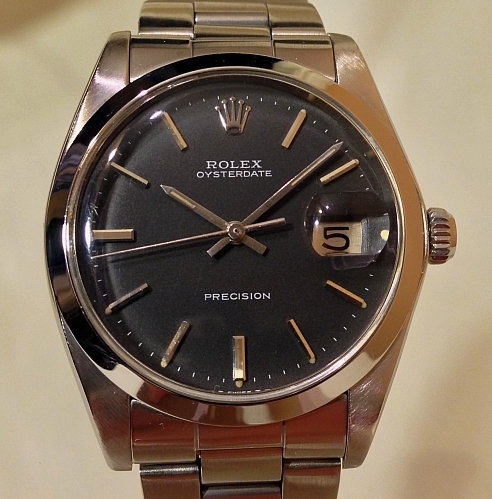 All original with a 5m serial number dating this watch to 1977. 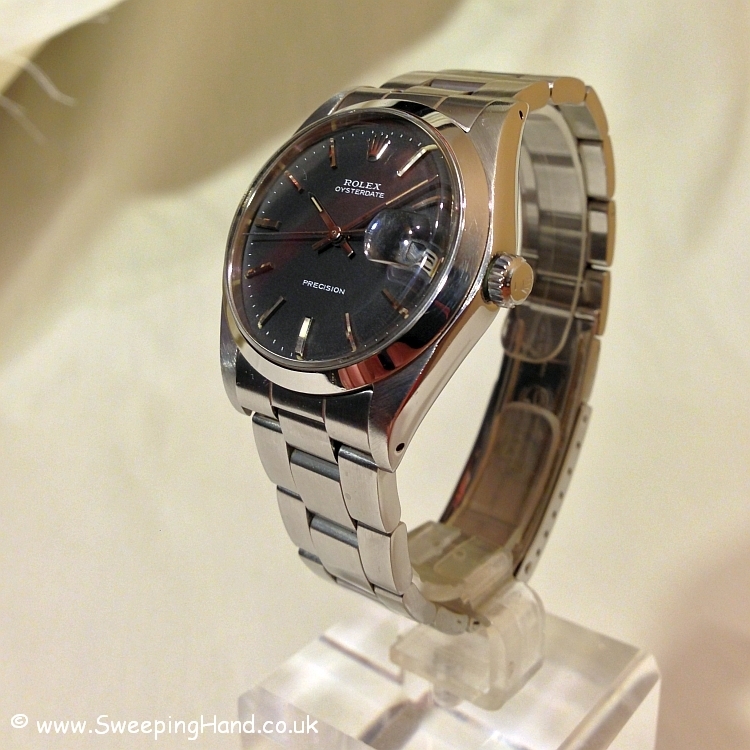 Nice thick case with clean polished sides and brushed lug tops and a lovely charcoal grey dial with silver hands and hour baton markers. 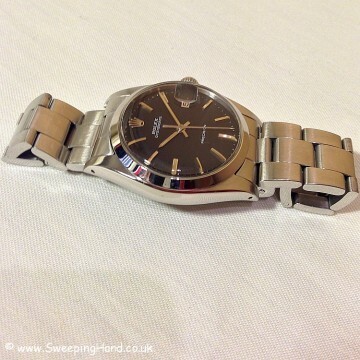 Serviced by my watchmaker last year and so keeping good time and with a lovely clean movement. 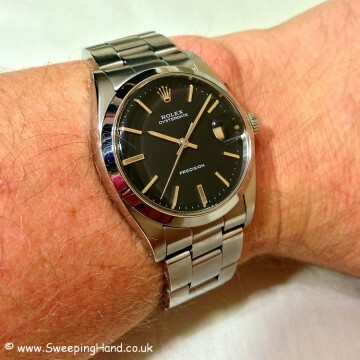 Comes on a solid link Rolex Oyster bracelet that has just had a light refurb so is in lovely condition.